Embroidered in Mexico, embellished in Canada with ribbon and vintage lace. 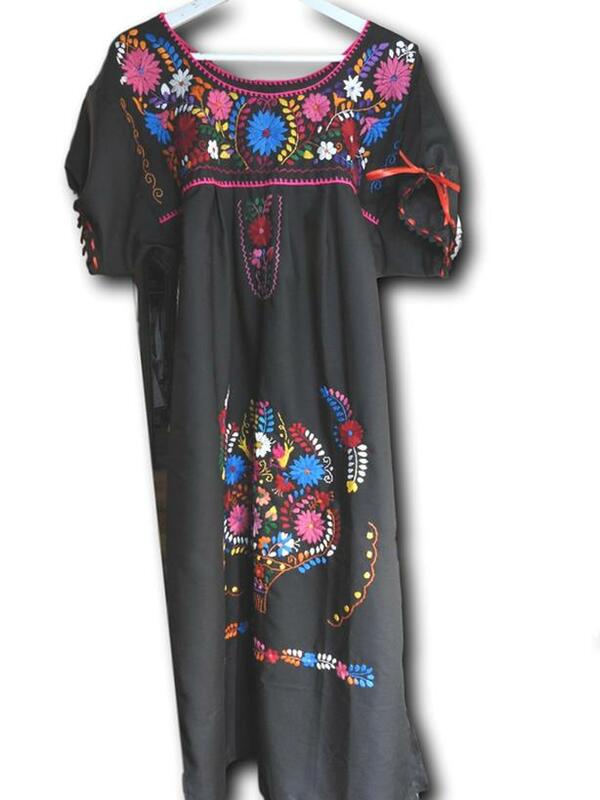 Black delicate cotton dress with cute flower embroidery designs. Thank you for exploring this Mexican flower dress.